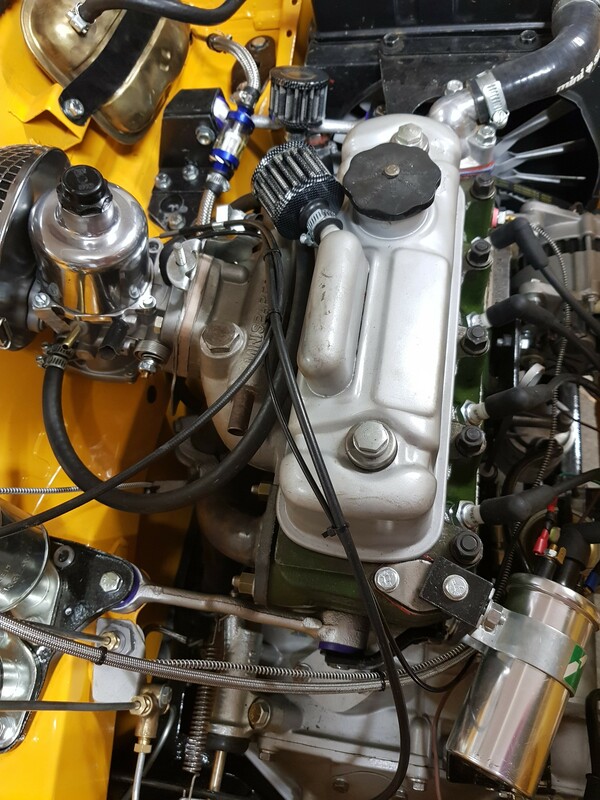 Wirings all cleaned up and a new set of spark plugs are in as i found a second spark plug was slightly damaged, fully rebuilt HIF38 from the UK has now been installed along with a new smiths dual gauge. As far as im aware the only thing i have left to do other than the toolbox and roof is to tune it. 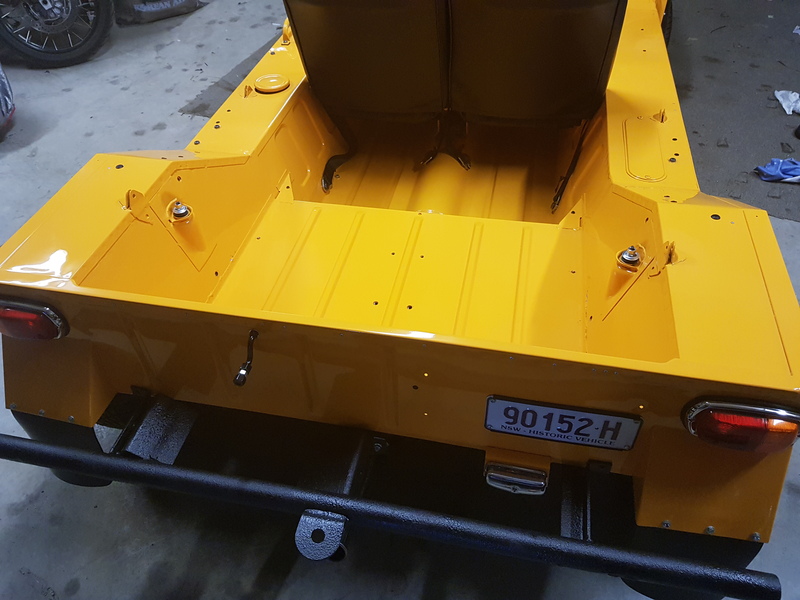 Started it up and it runs very smooth now, still have to test it but i will leave that for this wednesday as there is a club run on and im hoping the weather is clear enough to drive down. Looks good Muz, and the oil pressure is good as well. Do you thing the plugs were bumped when fitting the engine? The engine had temporary plugs installed during the fitting, the new ones had been put in after it was installed. Im pretty sure one of the plugs was already damaged from new and the second one must have gotten damaged later on. Looks the goods mate- all done with plenty of summer to go. Whats the wrap on your accelerator pedal for? What club have you joined? Its too damn hot to drive it in summer, im waiting for winter i love the cold haha. The wrap was there to stop the pedal scratching the paint while the throttle cable was off. I joined the mini car club of nsw, the inspector that looked over my car lives in my suburb so he came as soon as i called him and signed off straight away which made it easy. Took it out for a first test, spark plugs are golden so the tune seems to be ok but will recheck it again. 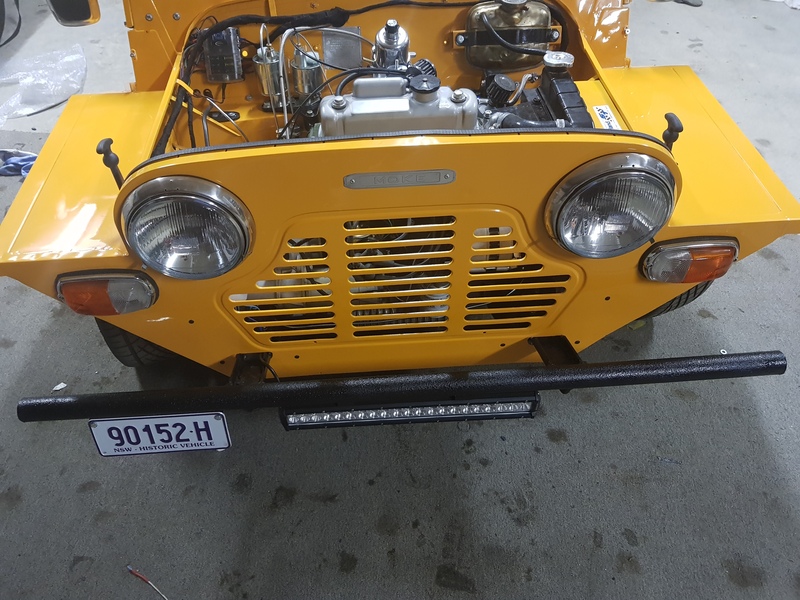 Only issue i encountered in 3 km of driving was that the carby was as i believed too close to the firewall, the carby has scratched the paint so i will need to get some longer engine steadies that will move it away by about another 10mm at a minimum. The issue isnt the vibration of the engine but the bumps and speed humps that cause the engine to jerk, i wasnt happy with the current engine steadies so at least now i can make some solid full length ones. Other than that i haven't encountered any problems, the lingering fear of stalling based on my prervious carby is still there but so far this carby has performed without any issues. I would still like to find a mid hood bow so i can make up a partial roof to at least have some protection from the sun/rain, i dont want to keep looking at the weather radar when i want to take it out. An alternative is to have a roll cage made up and the roof attached to that and do away with the roof frames entirely. Every second person is giving me the thumbs up, not use to all the attention haha. Went out for a drive with friend who also drove his mini today and in total we did about 40km of driving. The car definately likes to be pushed, its not happy at low speeds with the cam. 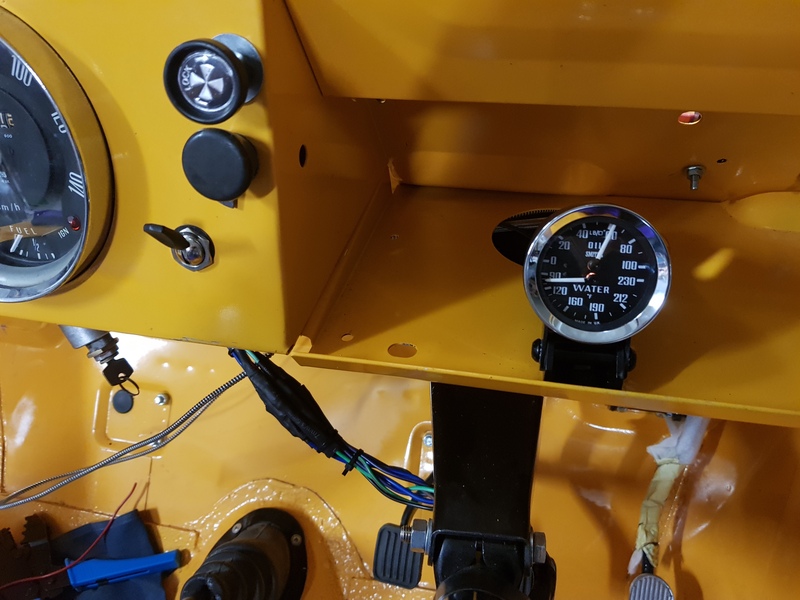 The HIF38 works perfectly with absolutely no issues in regards to fuel delivery, no stuttering or stalling. I drove his mini and mine to compare, his is a rod change type vs my remote. Is the rod change naturally easier to use or is it just that my gearbox has been rebuilt and his is worn? Im also getting a stuttering sound and vibrations from the engine bay when taking off in first as i let out the clutch but im almost certain this is due to the incorrect internal diameter of the engine steadies, im looking to purchase some original ones now as the bushes must have too much play. Also in regards to the remote change does anyone use a geabox steady under the car? Sorry no photos as i forgot to take some. I might still have some original engine steadies I will have a look for you. I run a gearbox steady under the car- fitted it when the engine was rebuilt the first time so couldn't tell you if it makes any difference or not. 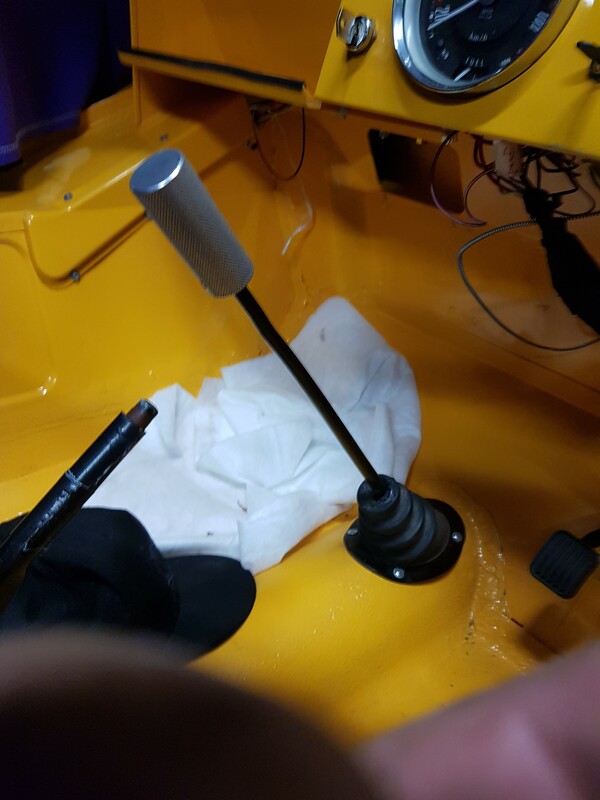 I ALSO RUN A GEARBOX STEADY.AFTER MARKET ONE PASSENGER SIDE. Not sure if either of those is suitable as mine is a remote change gearbox. Does anyone know which is the correct item for the remote change box? 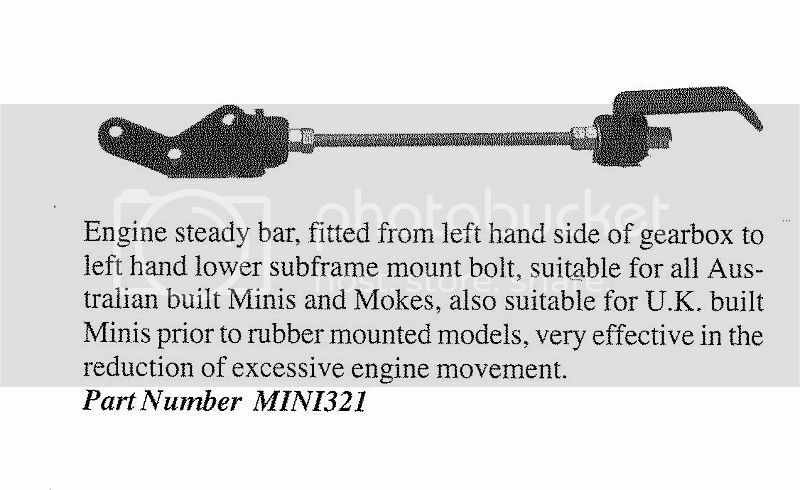 Either way i need to find something as im not happy with the excessive movement of the engine. A friend has put aside some engine mounts for me so will have those in a few days. 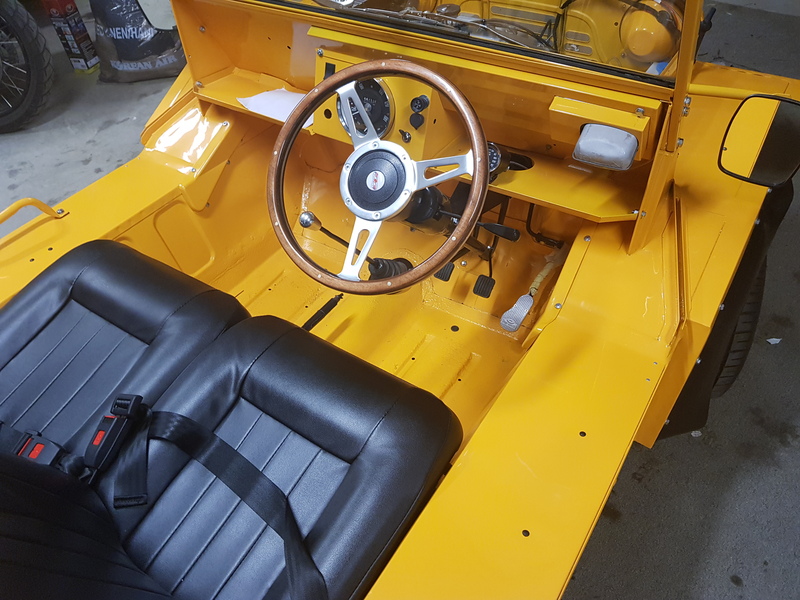 Gearbox steady installed, wheel alignment completed, original engine mounts with polly bushes, and a custom knurled alluminium gear shifter to increase the height and ensure ease of shifting. Needed a new 6mm spacer (HIF spacer) to mount the original engine steadies and i still only have about 3-5mm of clearance, not too worried as i have poly bushes and the gearbox steady in it now so there is very little vibration unlike before. Drove it up and down the driveway and its definately much better than before, no stuttering or vibrations. Hoping to take it on a decent long run this weekend, might even make the club run on Sunday up North Sydney way. I think i have all the kinks sorted apart from the GEU250 plug kit wiring, apart from that i think im finished. Is it ever really finished though?? ?